The cubic acrylic mirror is unlike any other flowerpot. It reflects light and brightness to your indoors and outdoords while creating a deco that reflects you. Its cubic shape perfectly fits with all kinds of plants and brings originality and creativity to your space. With Tendance Miroir®, create the garden that reflects you! Cubic pot Mirror There are 3 products. 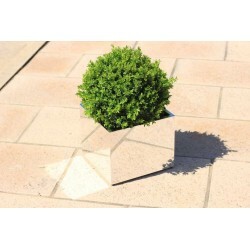 TRENDY-CUB 25 Cache Pot Cube mirror 30x30x25 cm Discover the TEND'M mirror pot / flowerpot. Created to welcome plants, this cubic mirror blends in all spaces. Its reflections give more light and volume to its environment. 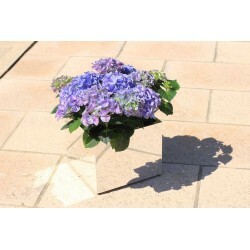 TRENDY-CUB 33 Cache Pot Cube mirror 37x37x33 cm Discover the pot / tray of flowers mirror TEND'M brand. 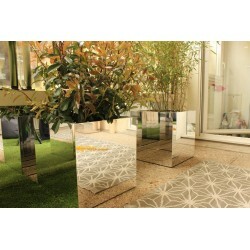 Created to accommodate plants, cubic mirror melts into all spaces. His reflections give more light and volume to its environment. TRENDY-CUB 50 Cache Pot Cube mirror 49x49 cm Discover the pot / tray of flowers mirror TEND'M brand. Created to accommodate plants, cubic mirror melts into all spaces. His reflections give more light and volume to its environment.